With new found optimism, will Africa stumble from new expectations ? With the recent successful hosting of the 2010 World Cup and withstanding the financial crisis better than many predicted, will Africa as a whole crack under the pressure of new found expectations or perform beyond any doubts ? Looks more like the latter. Africa seems ready to shine with this increased scrutiny. Africa offers among the world’s best investment prospects as emerging markets grow ever more important, although its economies risk being destabilized by the slew of capital they stand to attract in coming years. Energy-producing continental giant Nigeria was identified as a top pick by some of the most influential figures in emerging markets finance who spoke to the Reuters Emerging Markets Summit in Sao Paulo last week. Africa withstood the financial crisis better than many predicted, and the region’s economic growth is forecast at 4.75 percent in 2010. Next year, half of the world’s 10 fastest growing economies are expected to be in Africa, and it is now attracting more than just the most intrepid investors. “The latent interest in Africa is enormous,” said Stephen Jennings, chief executive of Russian investment bank Renaissance Capital, speaking to the Reuters meeting by video link from Moscow. Fund tracker EPFR reports 43 consecutive weeks of net inflows to Africa equities funds, reaching $484 million in the first half of 2010 — nearly double those to India over the same period. Africa’s advocates say the inflows stand to accelerate rapidly as a dearth of attractive returns in the developed world pulls investors in while a more stable political and economic environment indicates diminishing risks. MSCI’s index of Africa countries outside South Africa .dMI8600000P, though well off its year highs, is still up nearly 8 percent in 2010. The S&P 500 .SPX is more than 8 percent down. A shift of global economic power to emerging giants such as Brazil, Russia, India and China — known collectively as the BRICs — benefits Africa as surging economies seek its resources and push up commodity prices and investment. Brazil, Russia and India still trail China, which last year became Africa’s biggest trade partner, but they have been rapidly expanding trade and putting more money into Africa. Brazilian firms with a large African presence may soon issue bonds in South African rand to seize on growing interest, said Standard Bank’s chief executive in the Americas, Eduardo Centola. Nigeria’s market of about 140 million people — nearly three times bigger than South Africa’s — as well as its energy resources and bigger, more liquid markets, makes it the top choice for many eyeing Africa. On the Goldman Sachs’ growth-environment index, which measures a mixture of economic and social development indicators, Nigeria’s score has nearly doubled over the past decade. “If it were to show the same increase in its growth-environment score over the next decade, many investors will look back and say why the hell didn’t I invest in Nigeria,” said Goldman Sachs’ global head of economic research Jim O’Neill, who coined the term BRICs. Ethiopia and Rwanda are among the smaller African economies seen as promising. They show how previously ignored countries scarred by war are emerging as possible investment magnets alongside those such as Ghana, a relatively stable democracy which is soon to become an oil producer. There is a new sense and feeling of dynamism in Africa. 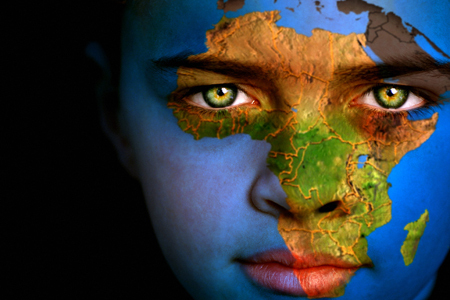 A feeling that now Africa can show the world that its more than just about poverty, disease and military coups. Africa is now on par with the rest of the world in hosting global events and being taken serious on the international political scale, especially by countries like China. Lets hope with all this new found positive attention that hubris doesn’t develop as well. China and South Africa have agreed in principle to build a rail network and infrastructure projects in Africa. South Africa’s Standard Bank Group said on Tuesday it has signed memorandum of understanding with China Railway Group to cooperate on funding for rail and infrastructure projects in Africa. Bloomberg News reported earlier on Tuesday that China Railway is in talks with South Africa’s government to build a $30 billion high-speed rail network, citing the chairman of the firm. South African President Jacob Zuma and a delegation of more than 370 business representatives are on a three-day trip to China, to encourage more investment in Africa’s biggest economy. South Africa is looking for expanded trade and investment to meet its development needs by improving roads, communications and power and by generating more manufacturing jobs, Zuma told a forum of executives from the two countries. Standard Bank, which is 20 percent owned by Industrial and Commercial Bank of China, said in an e-mailed statement the agreement “does not relate to any specific project at present”. The talks between China Railway and the South African government are at an early stage and no funding is in place, Li Changjin said at a forum in Beijing, according to Bloomberg. Ahead of the 2010 soccer World Cup, South Africa launched the initial phase of the continent’s first high-speed urban train, which cost 24 billion rand. South Africa’s transport minister Sibusiso Ndebele in April proposed the construction of a multibillion-rand high-speed train network linking Johannesburg and the city of Durban. Ndebele said at the time he would ask the cabinet in this financial year to approve a feasibility study. South Africa wants Chinese banks to help fund the project and China Railway wants South Africa to contribute up to 40 percent of the capital, Li told Bloomberg. US scientists said on Sunday they had cleared a key hurdle in the quest for a drug to treat Ebola, a notorious African virus and feared future weapon of bioterrorism. A treatment administered to rhesus monkeys within an hour of being infected by the deadliest strain of Ebola was 60 percent effective, and a companion drug was 100-percent effective in shielding cynomolgus monkeys against Ebola’s cousin, the Marburg virus. The Ebola virus, which has a fatality rate of up to 90 percent, is close to being cured. This came about due to the anthrax attacks shortly after September 11. The U.S. military began researching cures and treatments for future anthrax and biological attacks. Those man hours and resources seem to have paid off. Yesterday, the U.S. Army Medical Research Institute of Infectious Diseases and a private firm, AVI BioPharma, published the results of studies that show that their treatment does have a helpful effect in monkeys. That’s a huge leap, particularly since the reserachers were given clearance to start limited human testing. The partnership won a Defense Department grant of up to $291 million last month for that phase. It’s an interesting reminder of just how many technological advances have come out of such army research — and who knows, maybe more disease treatments will be down the pipeline. Now, if only they would start researching malaria . The drugs are in a class of compound called PMO, for phosphorodiamidate morpholino oligomers. They are designed to hamper the virus’ replication in cells, thus buying time for the immune system to mount a response and crush the invader. Filoviruses are on the list of pathogens such as anthrax that are considered tempting sources for biological warfare or terrorism. An important step in combatting Ebola was announced in May this year, again using tests on lab monkeys but involving a somewhat different technique to disrupt viral replication. A team at the US National Emerging Diseases Laboratory Institute at Boston University Medical School designed drugs with small interfering RNAs, or siRNAs, which hamstring reproductive enzymes. Despite this progress, a long road lies ahead before any treatment is licensed for humans, experts say. Testing a prototype drug is a three-phase process that starts with a tiny group of volunteers, where it is initially assessed for safety, and then broadens out to successively bigger groups, where effectiveness becomes a parallel question. According to the UN’s World Health Organisation (WHO), about 1,850 cases of Ebola, with some 1,200 deaths, have occurred since 1976. Lets all hope for the best and have another disease bite the dust thanks to medical research. Is South Africa going backwards when it comes to freedom of the press ? Its is commonly known that the powerful ruling political party, the African National Congress governs without much confrontation. Yes its ruling and governing style has been under criticism by former members who were either kicked out or purged. Although the ANC faced opposition parties, none had the one thing that counted in politics, money. This brings us to the current proposed legislation to reel in print media, including a tribunal overseen by Parliament, which his party controls. President Zuma, who leads the ANC, voiced his support for this. South Africa’s business community, which rarely confronts the powerful ru ling political party, took aim at the African National Congress-controlled government and proposals to clamp down on the print media, saying such efforts threatened to tarnish the country’s image and undermine a wave of investor interest after hosting the World Cup.”We just dispelled so many stupid ideas about our country,” said Bobby Godsell, chairman of Business Leadership South Africa, a group made up of chief executives of the nation’s 80 largest companies. “Now we’ve got people raising questions about whether our government believes in press freedom,” he told reporters at a media briefing on Tuesday. Business Leadership South Africa called press freedom “the lifeblood of both markets and democracies.” And while the group said the quality of the country’s journalism needed to improve, it criticized a proposed parliamentary watchdog for the media and a separate bill that casts a wide net over what information is classified. The comments from the business group follow a statement Friday from President Jacob Zuma, who also leads the ANC. President Zuma expressed support for steps to reel in print media, including a tribunal overseen by Parliament, which his party controls. For weeks, the media-freedom debate has filled South Africa’s newspapers and airwaves. Proponents of a tribunal say print media has veered into sensationalist and sometimes defamatory coverage—with little or no corrective punishment from an existing press ombudsman for inaccurate stories. Critics say that, in trying to muzzle the press, the ANC is hoping to conceal government corruption and failures to deliver reliable electricity, drinkable water and paved roads to the poor. Newspapers have also dived into the personal life of South Africa’s polygamous president. Mr. Zuma acknowledged this year he fathered a 20th child with a woman who wasn’t one of his three wives. The disclosure followed intensive press coverage. In Friday’s statement, Mr. Zuma said the media should allow the ANC and the public the same constitutional right to express views in favor of a press tribunal. In wading into the debate, the typically cautious South African business community is taking a bold step—and one that may not be without risk. In South Africa, the ANC-dominated government hovers over almost all areas of the economy. It supports big state-owned companies, awards lucrative infrastructure contracts and keeps scorecards on how well companies comply with “black empowerment” policies. But the desire to “say something” trumped any worries about government repercussions for speaking out, said Michael Spicer, chief executive of Business Leadership South Africa. “Some may have felt we waited too long,” he said. Business executives are concerned the proposed media controls may cause collateral damage. South Africa, the continent’s largest economy, is positioning itself as a gateway to a market of a billion people and a choice investment destination. Central to that ambition is image. The successful hosting of the World Cup allowed companies and business to burnish the country’s credentials as a functioning free-market democracy, and allay fears among overseas investors of corruption, violent crime and political stability. 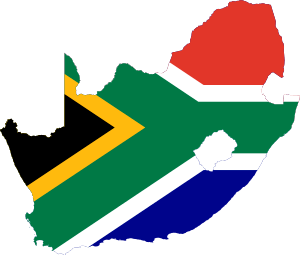 The Organization for Economic Cooperation and Development estimated that South Africa’s economy this year would grow 3.3%, partly boosted by investment and spending around the World Cup, and is set to expand 5% in 2011. But in some recent meetings with investors, members of Business Leadership South Africa had to respond to renewed concerns about the country, said Mr. Spicer. Along with questions about the government’s stance on the media, he added, investors have also expressed fresh concerns about corruption, particularly with regard to the awarding of mining rights. This bill is not good and won’t do any favors for South African democracy in the short, medium, and long run. It will only confirm what many people suspect of the ANC and current leadership. In a free and democratic society, the independence of media organizations and institutions are not to be lap dogs of people in power and current governing class. There is nothing that upsets South Africa’s leaders more than the suggestion that their country could become another Zimbabwe. But government-backed proposals for a new law aimed at muzzling the South African press positively invite the comparison. If the Protection of Information Bill, now before parliament, becomes law, South Africa will have crossed a dangerous threshold towards a corrupt, dysfunctional and impoverished autocracy. It is true that the ruling African National Congress (ANC) gained a large majority in democratic elections. But democracy is about more than voting. It also requires a free press and an independent judiciary; particularly in a country such as South Africa, where a single party is deeply entrenched in power. The South African judiciary is still independent, but some recent senior appointments have smacked of cronyism. The newspapers, however, have done a good job recently in exposing corruption and highlighting questionable interventions by the government. These include the diversion of mineral and prospecting rights into the hands of people with connections to the ANC, including family members and friends of President Jacob Zuma. Big foreign investors such as ArcelorMittal and Lonmin have been subject to decisions that seemed designed to drive them out of lucrative lines of business, or to force them to pay off well-connected locals. The ultimate losers in deals such as these are poor South Africans, who pay a price in lost investment and lost jobs. The proposed new press law comes amid increased harassment of local journalists, and alongside a proposal for a new official media tribunal. The law seems a perfect tool to stop exposure of corruption. It would give ministers wide powers to classify information as secret, and cover not only matters affecting state security, but also commercial information that “if released publicly would cause financial loss or competitive or reputational injury” to affected parties. Somebody convicted would face up to 25 years in prison. The Protection of Information Bill could be made less damaging if it were amended to allow defendants to argue that they were publishing “secrets” in the public interest – at present there is no such provision. The definition of a secret could also be more tightly focused on national security. But these are mere palliatives. The South African government should withdraw this appalling law in its entirety. Last week a number of African countries were celebrating 50 years of independence from France. Almost inevitably, the prickly relationship between Paris and her former colonies came under the reflective microscope from various angles and peoples from media outlets. Under President Omar Bongo, Gabon represented the clearest example of Francafrique – the intertwined political and economic interests of the French government and the elite in former African colonies. But, under Bongo’s son, Ali, Libreville has been sending out a different message and on the eve of Gabon’s independence celebrations this week, Bongo junior announced $4.5 billion in business deals with Indian and Singaporean firms. Bongo son, whose Anglophile tendencies are underscored by his U.S. university education and his decision to send his son to school at the prestigious British public school, Eton, followed this up with an announcement that Gabon would no longer be bound by exclusive ties with France. But Gabon is not the only former French colony making noises about watering down ties. During independence day celebrations in April, Senegal’s President Abdoulaye Wade triumphantly announced that he would be closing down France’s military base in the Senegalese capital, Dakar. The details of when French soldiers would actually be leaving may be more nuanced, but the message was clear. Chad’s President Idriss Deby – who has frequently relied on French soldiers based in his country for help fighting off rebels, but now enjoys vastly improved relations with neighbouring former rebel-backer, Sudan – has also cranked up the rhetoric. During independence day festivities, Deby said that France would have to renegotiate its military agreement with Chad, and pay more to keep a base there, according to French media. These moves are taking place against a backdrop of frustrations in some circles that French President Nicolas Sarkozy has failed to live up to his 2007 promise for a more honest relationship with Africa. Some analysts and media also speak of divisions between Sarkozy’s presidency and his foreign ministry over how to deal with Africa. In Congo Republic, where French oil firms are behind a resurgence in oil production, French soldiers marched, for the first time, in independence day celebrations. An incident in Togo has also highlighted continued high-level French influence and drawn anti-French vitriol on the internet. A uniformed French military advisor to the head of Togo’s army was caught on camera threatening a local journalist who took photos of him directing riot police at a demonstration. The video has scored over 700,000 hits on You Tube’s website and sparked thousands of mostly angry comments. How are France’s former colonies faring, 50 years after independence? Is Francafriquedead, or is it alive and kicking? Are African nations finally breaking away from Paris, emboldened by courtiers from new, emerging powers hungry for its resources? Or will France always maintain that special tie with her former colonies on the continent? French government and political elites might have an idea of how deep the resentment towards France is, but i don’t think they know how passionate it is. Former colonies resent that fact that France in a way “looks” down upon them. Even though the French constitution might take about Liberty, equality, and brotherhood, France has treated its former colonies and still does in the opposite way. There is a reason why Asian countries and the U.S. are openly being embraced. France only has to look in the mirror why that is happening. 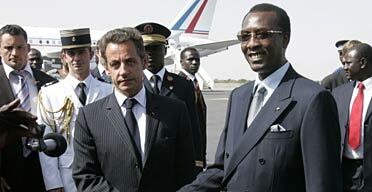 Here is a previous more detailed post about the current status of France in Africa. 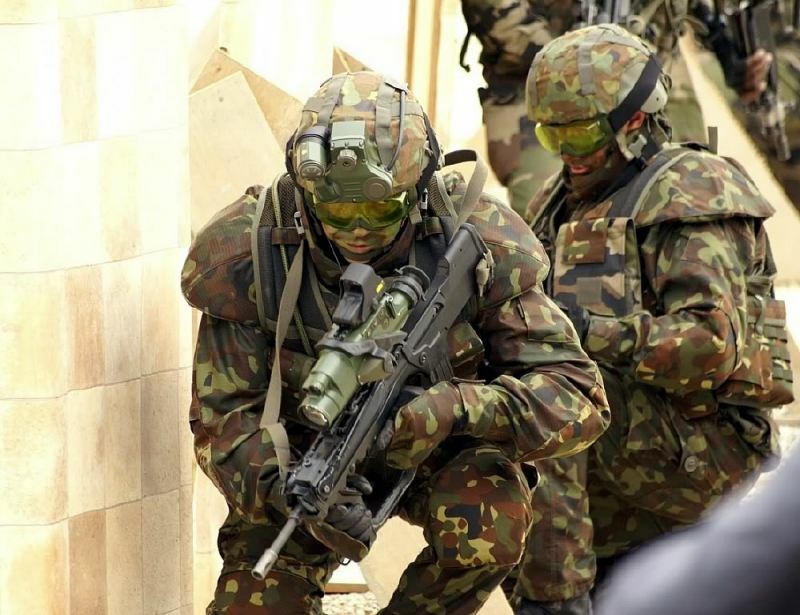 The French Defence Ministry is willing to look into a demand by Chadian President Idriss Deby that it “pay a price” for stationing French soldiers in the former central African colony, the newspaper Le Figaro reported Thursday. Chad’s President Idriss Deby Itno criticised France’s military presence in the country Wednesday in comments to mark the 50th anniversary of independence from its former colonial ruler. The veteran leader told reporters that his government would seek financial compensation for allowing France to maintain its military operation, codenamed Epervier (Sparrowhawk), which he said “is no longer playing a role” in Chad. “It’s now 20 years since Epervier exists and it no longer playing a role apart from providing some healthcare for the sick and logistical support in case of an attack somewhere,” he said. “On the other hand, if France says that it does not have the means to pay and that it wants to leave, we will maintain the best possible relations but we won’t stop Epervier from leaving,” he said. France has around 1,100 soldiers based in Chad and 800 others are serving in a UN-led force to protect refugees in eastern Chad, mostly from Darfur in western Sudan. However, in January the government said it wanted the 3,300-strong UN Mission to the Central African Republic and Chad (MINURCAT) to leave the country. 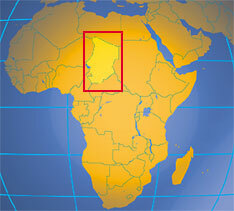 The UN Security Council in May ordered the withdrawal to be completed by the end of the year, at Chad’s request. Deby said the UN mission was “a failure,” and accused the troops of remaining behind the safety of their razor-wire fences and not venturing out to help refugees. France launched Operation Epervier in 1986, sending forces into Chad to prop up then-president Hissene Habre, who was under attack from Libya. The French troops have since maintained a presence near Ndjamena airport and in the eastern city of Abeche. 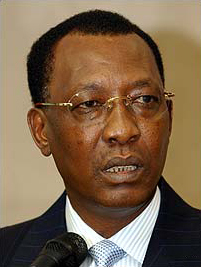 President Deby feels sufficiently secure that he has demanded the French pay for the privilege of stationing over a thousand troops in Chad. France has had troops in Chad for decades, to assist the government in maintaining order (and staying in power). Chadians resent having to depend on their old colonial masters to keep things running, so Deby’s demand for money from France is popular in Chad. France is reluctant to withdraw their troops from Chad because China is more economically active in the country, and might offer to provide Deby with any security services he needs. Chinese firms have been active in building the pipeline that gets the oil out of the country. Many Chinese are entering Chad to start businesses, as they are doing throughout Africa. British bank HSBC says it is in talks with financial group Old Mutual PLC about the possible purchase of a majority stake in Nedbank Group Ltd. of South Africa. 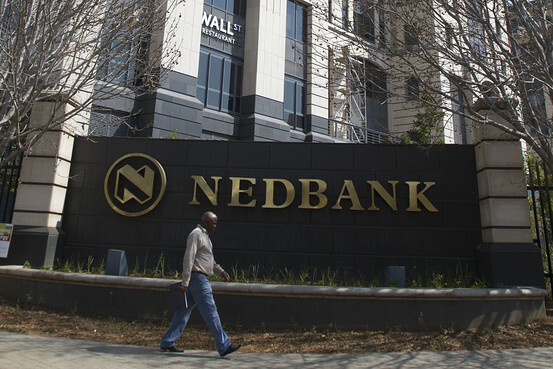 The discussions center on the sale of a 70 percent stake in Nedbank is South Africa’s fourth-latest banking group in terms of total assets. Nedbank traces its history back to the 1830s and has been majority owned by Old Mutual since 1986. HSBC Holdings PLC, Europe’s largest bank by market capitalization, has proposed a deal to buy majority control of South African lender Nedbank Group Ltd. in a move that could help it expand its operations in African markets where Chinese banks and other investors are active. HSBC and London-based Old Mutual PLC, the majority owner of Nedbank with a 51.5% stake, in separate statements said they have entered exclusive negotiations on a transaction that could see HSBC make an offer to all Nedbank shareholders for a stake of up to 70%. The companies didn’t disclose a price, but at Friday’s close Nedbank had a market capitalization of $9.25 billion. If successful, the Nedbank acquisition would be HSBC’s biggest since the financial crisis and one of the biggest mergers-and-acquisition transactions in South Africa. While the move fits into HSBC’s emerging-markets strategy, analysts said it is unlikely to generate quick returns. HSBC doesn’t have a large presence in Africa and will need time to build on its platform there. Acquiring a portion of Nedbank, which has many small business customers, also is a departure from HSBC’s strategy elsewhere, which has been to attract deposits and business from wealthy individuals. This is a substantial opportunity for HSBC to expand both within the South African and African markets in due course, especially when Chinese bank ICBC acquired only 20 percent of Standard Bank in 2007. European and American banks don’t want to be left behind by their Asian counterparts. If HSBC wins out, it should be able to use its global experience in retail banking to turn around Nedbank’s struggling South African retail division, which suffered a $15.7m loss in the first half of this year. But its eyes will soon stray north to the rest of Africa: Kenya, Tanzania, Angola and the Democratic Republic of Congo are all possible targets. The first big move, however, might be into Nigeria. Several of the country’s banks look like potential takeover targets after taking serious knocks during the global downturn. A strong pan-African presence could prove lucrative for HSBC in the long term – but getting there will be tough.